Hi again, its my turn on the blog today. 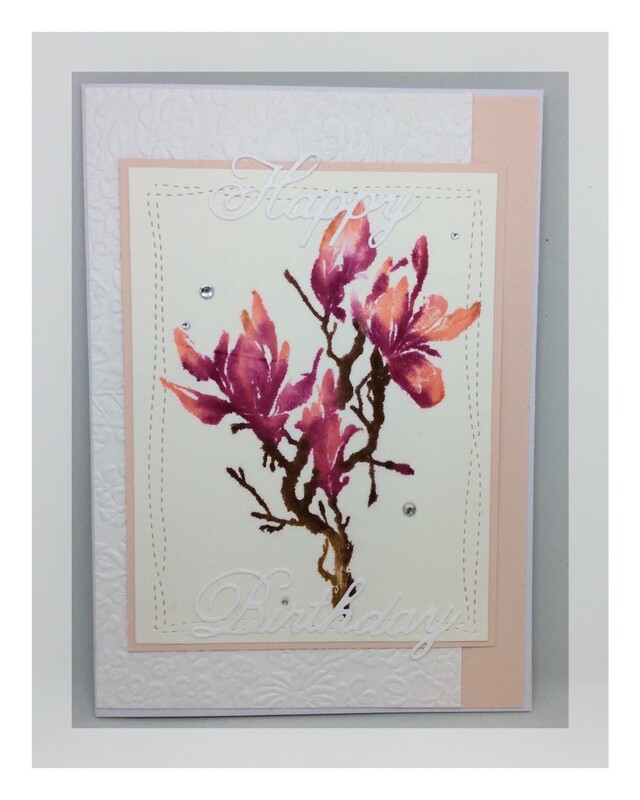 I would like to share with you a card I made using the Penny Black Effulgent Stamp. The stamp is different from most in that it is a solid stamp that you can use to create a watercolour effect. 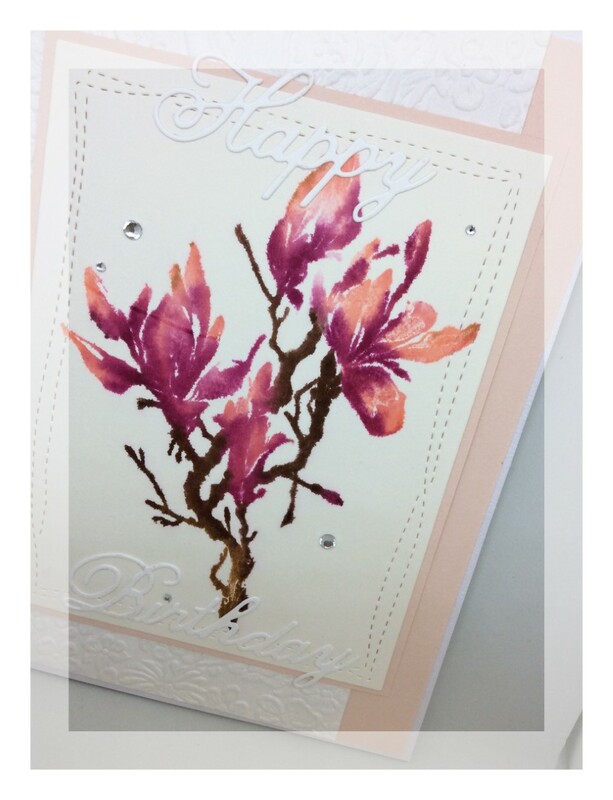 I hand coloured the surface of the rubber stamp with Tombow markers. I selected three shades of pink and two shades of brown. I then stamped the coloured image onto damp watercolour paper. I'm really pleased with the effect and found I had a lot more control wetting the paper rather than the stamp. May savings where there is 20-25% off store wide.